Christ Church, Fairwarp, Maresfield, Uckfield, TN22 3BE. 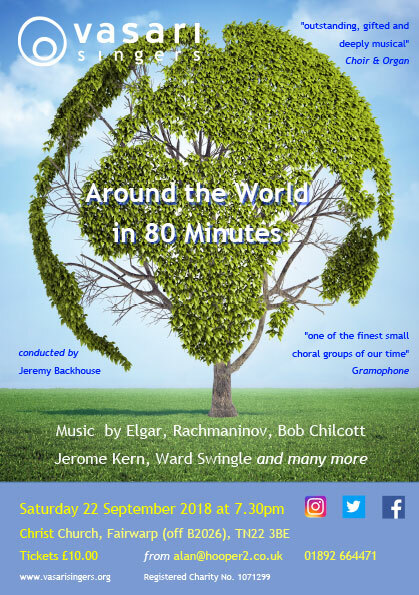 We start our 2018-19 season with a favourite Vasari Singers combination – a lovely country church with an exquisite mixed programme to include works by Rachmaninov, Ešenvalds, Pearsall and Delius. You can buy tickets from alan@hooper2.co.uk or by calling 01892 664471.